All dog owners know there are certain types of products and accessories they need, but brand new owners might not be aware of all the helpful products out there. Here’s a breakdown of the three basics pet owners should keep on hand. The type of dog leash you need depends on you and your pet. Using a leash that’s best for your dog and comfortable for you to use are the most important considerations in your choice of dog leash. You’ll probably want a much longer leash for a large dog than a small one. The best dog training leashes can help teach your pet to walk without pulling. If your dog pulls hard on the leash, the Cujo shock-absorbing leash from EzyDog may be ideal to help lessen the stress on you and your pet. For more than one dog, an extension lets you walk both at once. And the Vario 6 Multi-Function leash lets you adjust the leash to two different lengths, use it as a tether at two different lengths, use it hands-free and walk two dogs at once, all without the need for extra extensions or the need to unhook your pet at any time. The basic dog collar is always a good accessory to have on hand. Make sure the type you choose is comfortable for the dog, like one made with neoprene or soft nylon. Look for features like a quick-release mechanism and sturdy rings that won’t break or rust. Training or correction collars are ideal for training puppies, but it’s important to only use them during training. A puppy wearing a correction collar should never be left alone for his own safety. The best dog harnesses can offer more control for training and walking your dog. They can make the walk more comfortable for both you and your pet. 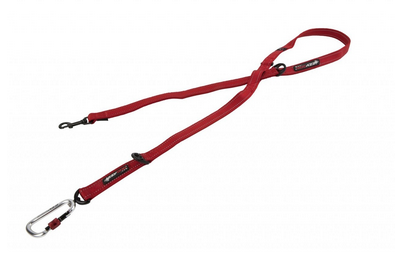 EzyDog’s Quick-Fit Harness is a great basic solution that takes the pressure off your dog’s neck. For dogs that really pull, the Chest-Plate harness can help discourage that more than a collar typically would. The Convert Harness is great for dogs that get down and dirty in the great outdoors with their owners, since it’s made to stand up to rough and tumble wear. 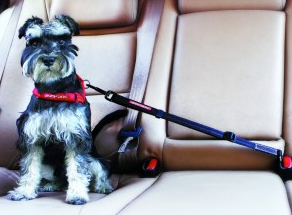 For your safety and your dog’s, a comfortable dog seat belt restraint is a must. This keeps your pet in the backseat and prevents him from trying to crawl in your lap. Choose between a loop that attaches to a harness that your seat belt slides through, or a click-in restraint that buckles into your car’s seat-belt receiver. Both allow your pet to move and not feel too restricted while keeping him in place in the seat for everyone’s safety. 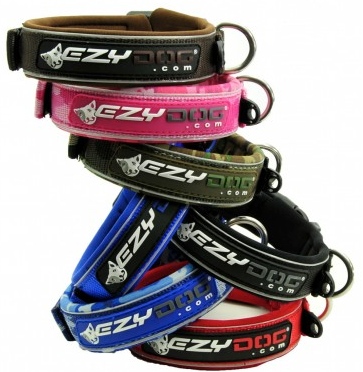 To find all of these wonderful dog products and more visit EzyDog.com.